Whose Slave Are You? (Romans 6): How Do We Fix This Financial Mess? How Do We Fix This Financial Mess? “Never let a serious crisis go to waste,” said Obama’s Chief of Staff Rahm Emanuel after Obama won the election in November of last year. I think he had the right idea, but, of course, the wrong approach. These hard economic times are indeed challenging and there are no easy and painless solutions. However, this period offers great opportunity as well. For us to become the people we were meant to be, occasionally we must endure some affliction. Don’t be surprised if you see many of the marriages around you struggling during this global financial downturn. Sadly, I believe we are likely to see a significant increase in the U.S. divorce rate as this recession drags on. It is human nature to want to run from difficult times such as we currently face. Of course, such behaviors offer no real solutions. 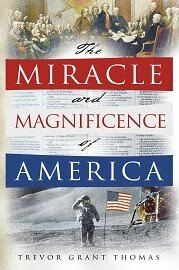 I propose that a bit of American history offers some wise and interesting insight into how we as a nation should approach the financial problems that we face. The task proved more difficult than our founders had imagined. There were many disputes between the states, and some ran deep. Unsurprisingly, some of these disputes were financial. During the war effort, Congress had to beg some of the states for financial support. After the war ended, some states refused to pay any of their share of the war debt. George Washington began a letter-writing campaign urging those in position to get about the business of preserving the union. The result was the 1787 Constitutional Convention. Things did not begin well. The northern states wanted representation based on population; the less populous but agriculturally hardy southern states wanted representation based on land under cultivation. This debate grew so bitter that some delegates went home in disgust. Franklin concluded, “I have lived, Sir, a long time, and the longer I live, the more convincing proofs I see of this truth—that God Governs in the affairs of men. And if a sparrow cannot fall to the ground without His notice, is it probable that an empire can rise without His aid?” After Franklin’s speech, James Madison moved, and Roger Sherman seconded, that Dr. Franklin’s appeal for prayer be enacted. We all know the results. There you have it. The answer to our current (and every) plight: humble prayer to the Creator of all things. Let it be noted that God Himself never let a crisis “go to waste.” What better opportunity to reveal Himself to so many who seem to have forgotten that He was ever there.